Rick Moody is a New York–born novelist and short story writer. His works include the novels Garden State (1992), Purple America (1996) and The Diviners (2005). His first novel, The Ice Storm (1994), was made into a feature film, and his memoir The Black Veil (2002) won the PEN/Martha Albrand Award for the Art of the Memoir. He has received a Guggenheim Fellowship and his work has appeared in The New Yorker, Esquire, Harper’s, and The New York Times. We went Behind the Sestina with Moody to discuss his sestina, “Radio Sestina,” featured in The Incredible Sestina Anthology. I think it was in college when my friend Jim Lewis (later the novelist and journalist Jim Lewis) turned me on to the Princeton Encyclopedia of Poetics. The clerihew and the villanelle and the sestina were all forms I learned about then with great delight. I looked on the sestina with an especial terror, of course. Because of it’s intense difficulty. Do you remember the first sestina you ever read? Do you have a favorite sestina? Maybe Swinburne’s from 1872? It was in some anthology or other. And I really love that Elizabeth Bishop one with the grandmother in it (just called “Sestina,” I think). The whole trick with a sestina, is it not, is to transcend the stifling rigidity of the end words? She manages to do that somehow, and, as in all Bishop, leaves us with the affect of the thing. A very moving poem. Can you tell us about the writing of “Radio Sestina”? You’re such a music fan, so it’s no surprise on many levels. How did you happen upon this particular narrative? “Radio Sestina” was just a desperate effort to write a sestina on command. True, it has a lot of music in it, and it also has some radio in it. At the time I was making occasional pieces for radio (for a show on WNYC called “The Next Big Thing,” for whose demise I often lament), and I was therefore thinking about radio, and about the relationship of radio to music, in the larger sense. Music in language and in sound. 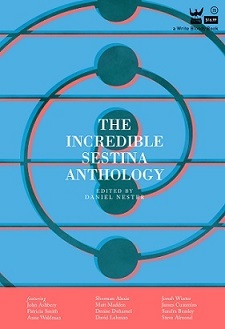 Did the experience of writing a sestina offer any special challenges to you, since you’re primarily a prose writer? Yeah, there’s a special challenge because I am an infrequent poet! I work with found text poetry and collage poetry and process-oriented poetry a bit. That is, I like “experimental” poetry a great deal. But I don’t necessarily rear up and write in one of the old forms very often (except maybe tanka and/or haiku). I probably write one or two poems a year really, which is not so bad, as I have been publishing almost twenty-five years now, so that means 25 poems. There is, of course, a tendency in the present moment, to believe that writers are specialists, that they can only really do the one thing, by training or inclination. But back in the early days of literature and the written word, there were no forms, no names for forms, or the forms were so new that they had yet to calcify, and in those days the writers all wrote whatever they felt like. In this way, I think my prose writing is improved by my engagement with poetry (and lyric writing, too), and so however difficult this assignment was for me (and it was very difficult) it made parts of my brain light up from the effort, and this, I believe is good. I will probably do it again at some point. Or perhaps something easier and more shameless: like a clerihew. In high school, I was in the radio club. I was actually the station manager for a brief spell at our station (it had a 4 watt transmitter, or some such, just like a pirate station), and our advisor was Mr. Baldwin. He got me started in radio. So my sestina is for him. To Mr. Baldwin, first name long ago forgotten. This entry was posted in Behind the Sestina and tagged Arts, Behind the Sestina, clerihew, Diviners, elizabeth bishop, form, Ice Storm, Jim Lewis, New York Times, New Yorker, next big thing, Poetry, radio sestina, rick moody, Sestina, The Incredible Sestina Anthology. Bookmark the permalink.